Perhaps you can’t leave the house until you look impeccable. Or maybe you’ve made progress on a project, but can only see mistakes. You set sky-high standards, then beat yourself up when you fail. Perfectionism drains your time, energy, happiness and self-esteem. 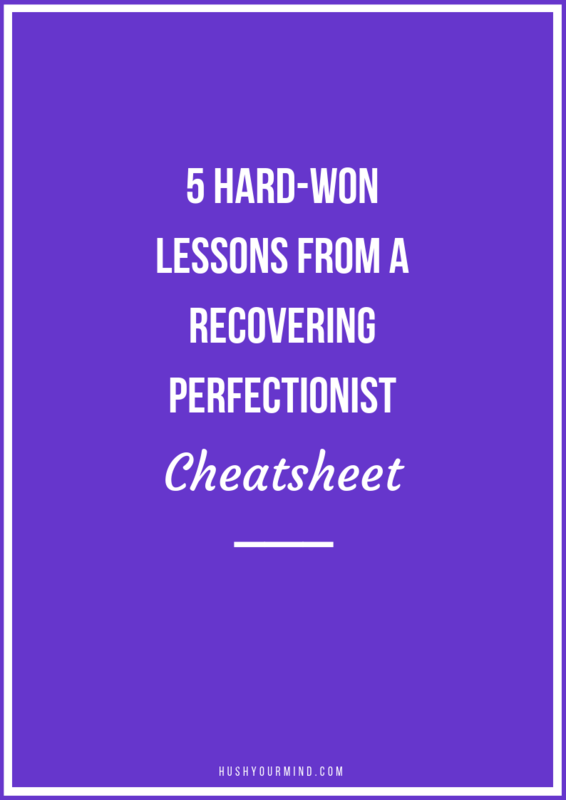 Subscribe to my twice-a-month newsletter + get your cheatsheet to discover my 5 hard-won lessons and overcome perfectionism. Step 1. Check your email for a message from Annie Moussu. Step 2. Click the link in that email. If you don’t receive an email within 5 minutes, check your spam folder. Using Gmail? You may need to check your promotions tab. P.S. Have you signed up for a freebie in the past? Then, grab all of my freebies in the Freebie Library. Lost the password? Check my emails.